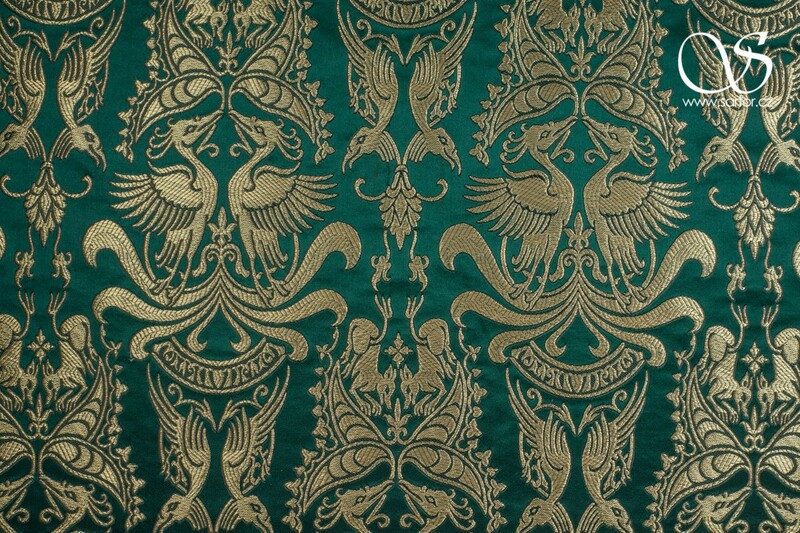 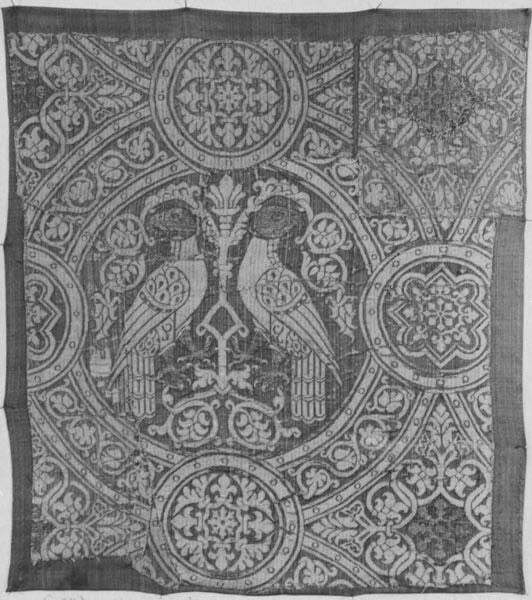 A reproduction made after an extant Italian textile from 13th/14th century. 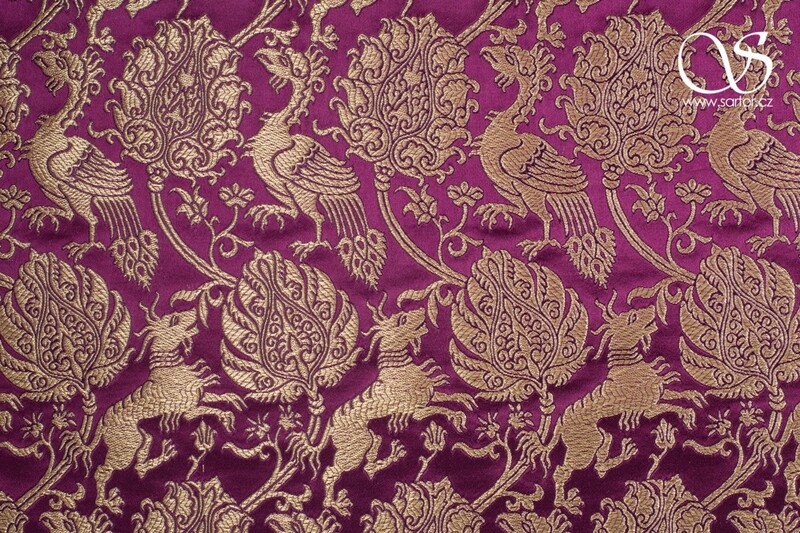 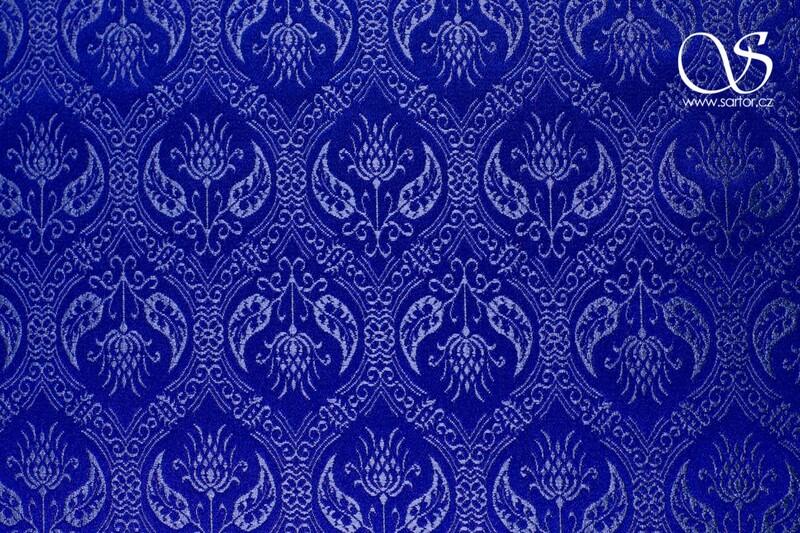 The original fabric was most likely woven in Lucca in Italy, a famous silk center in its times. 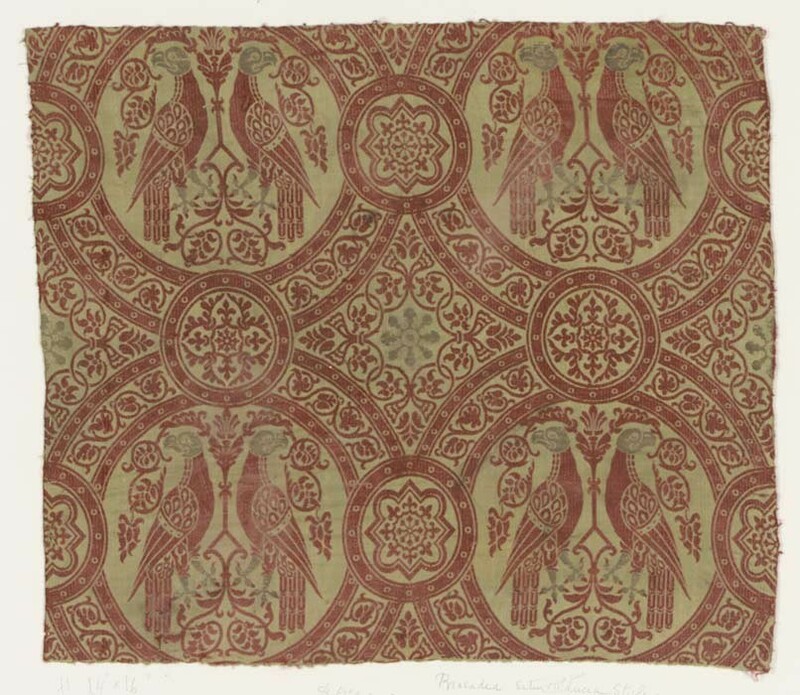 The pattern of the fabric is organized in roundels, a form so typical much earlier for Byzantine silks and which later became very popular also across medieval textiles in Europe. 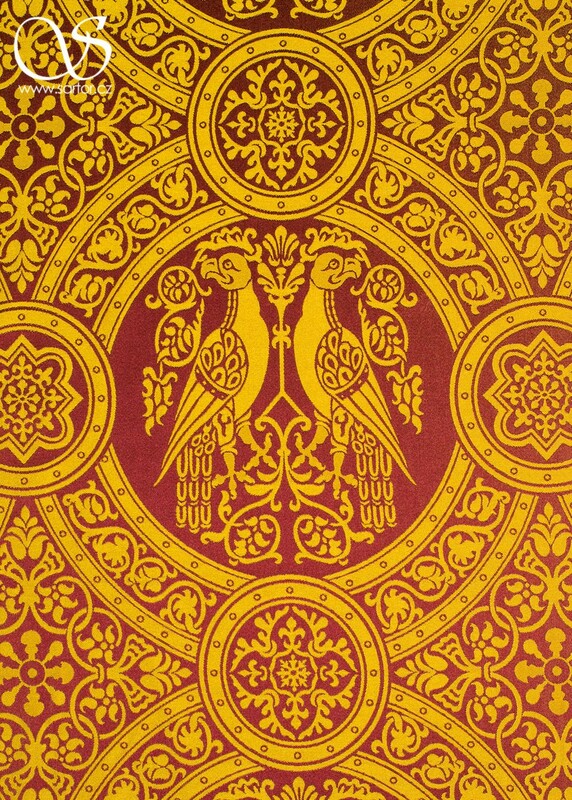 This representation is on its peak, with the medallions being highly decorated and the pair of parrots very detailed. 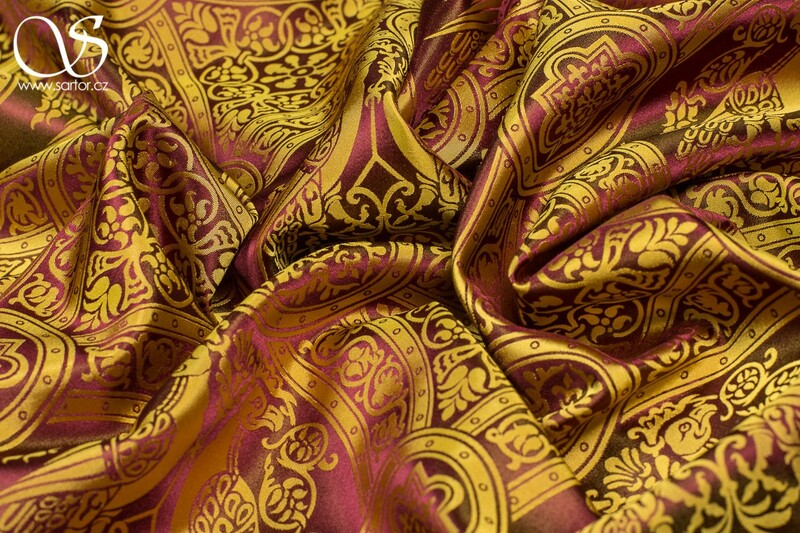 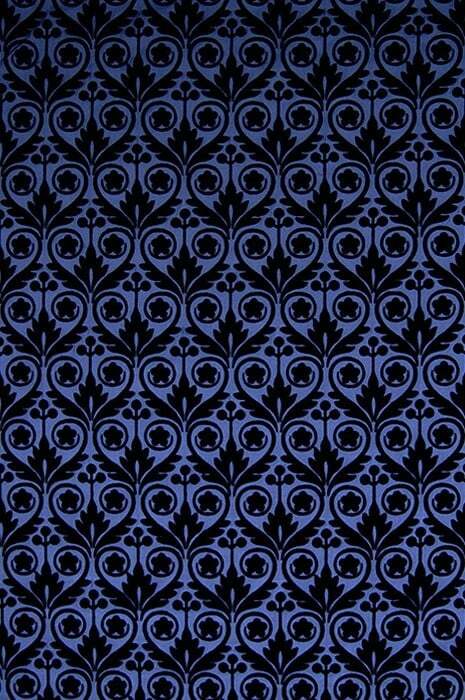 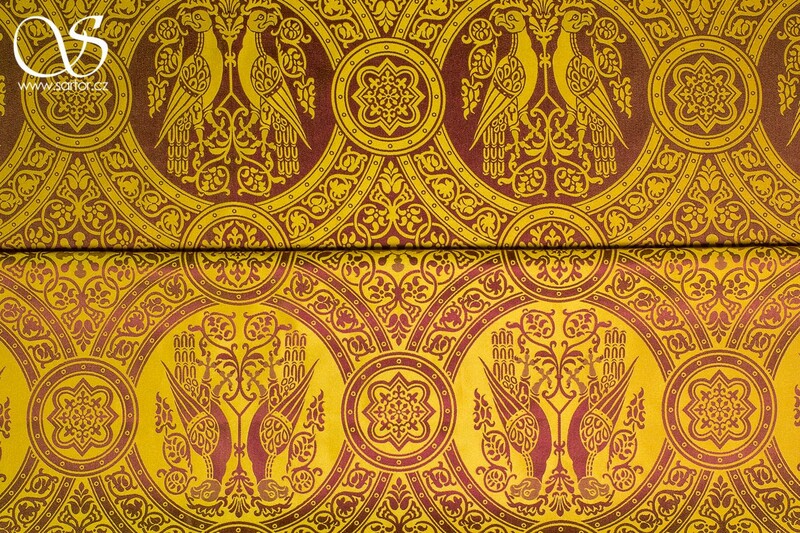 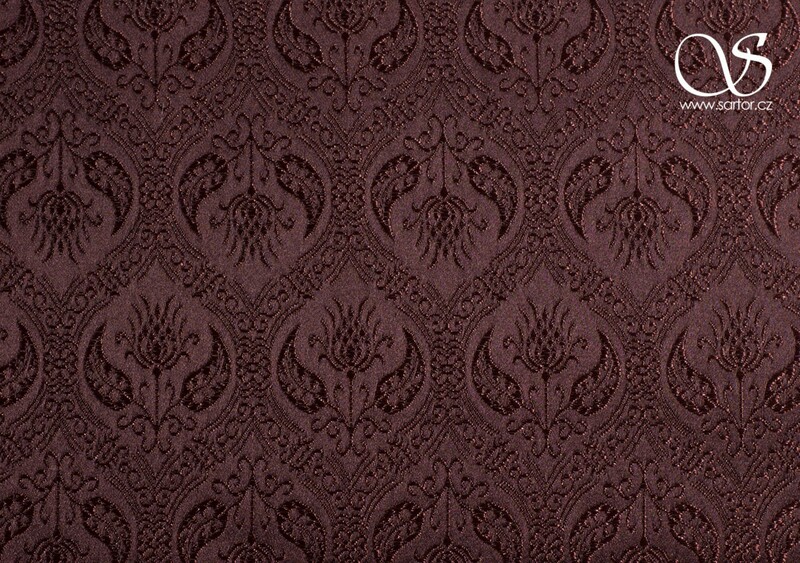 Our reproduction is made in pure silk damask with a reversible motif, so it can be used from both sides. 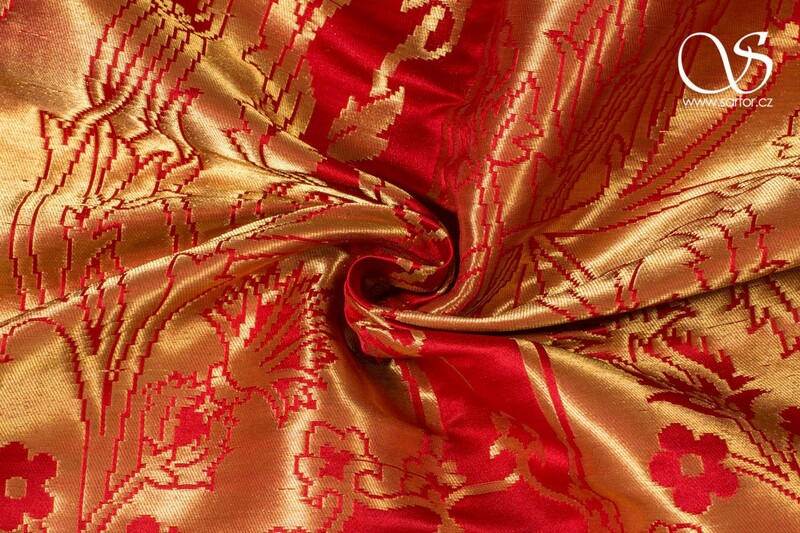 The fabric itself is soft, flowing and drapes well. 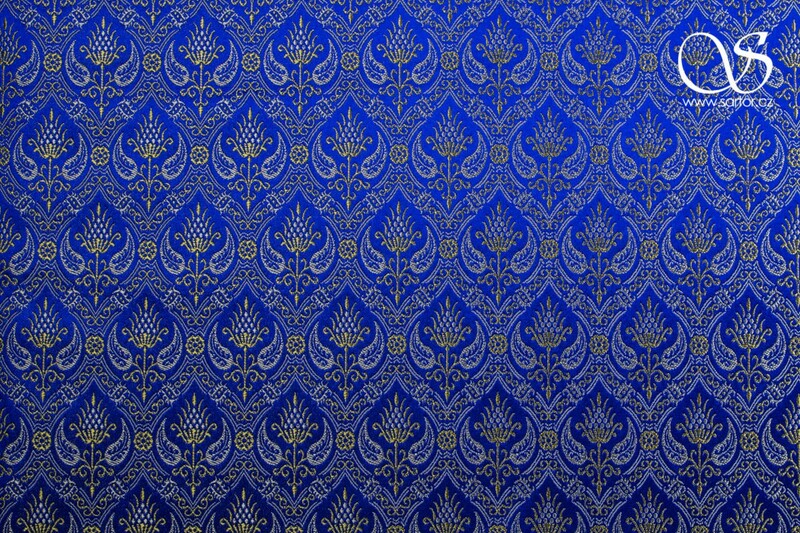 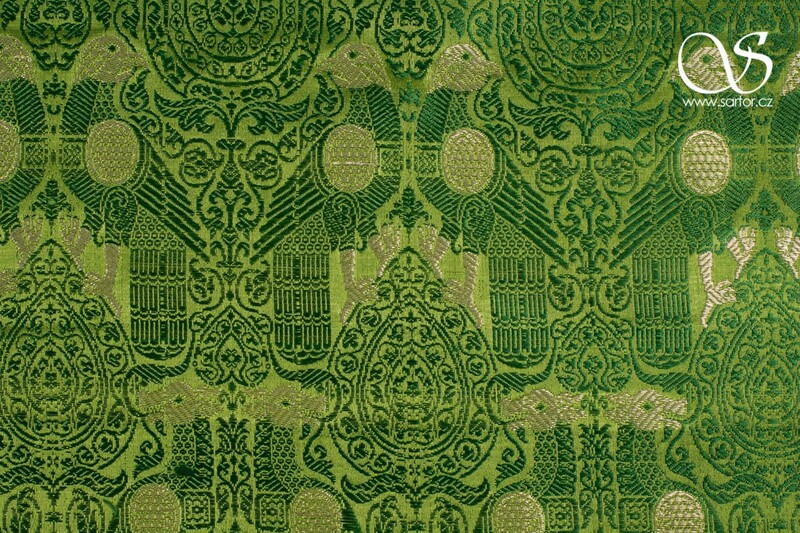 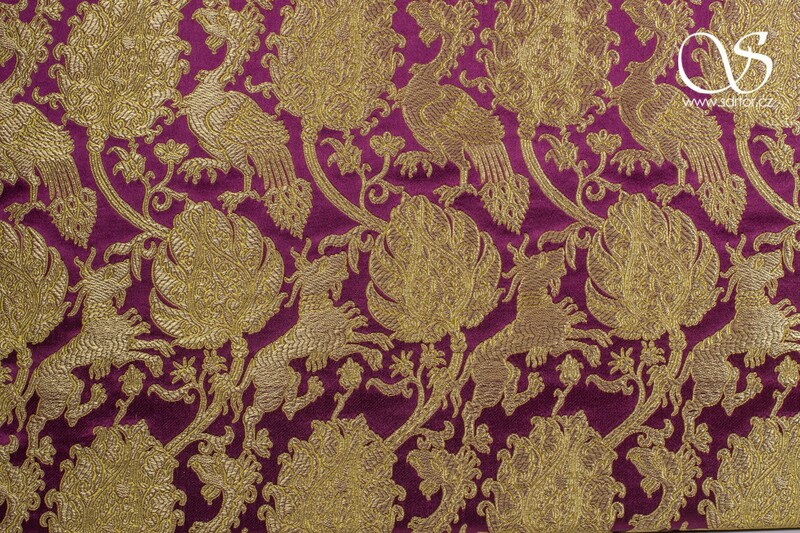 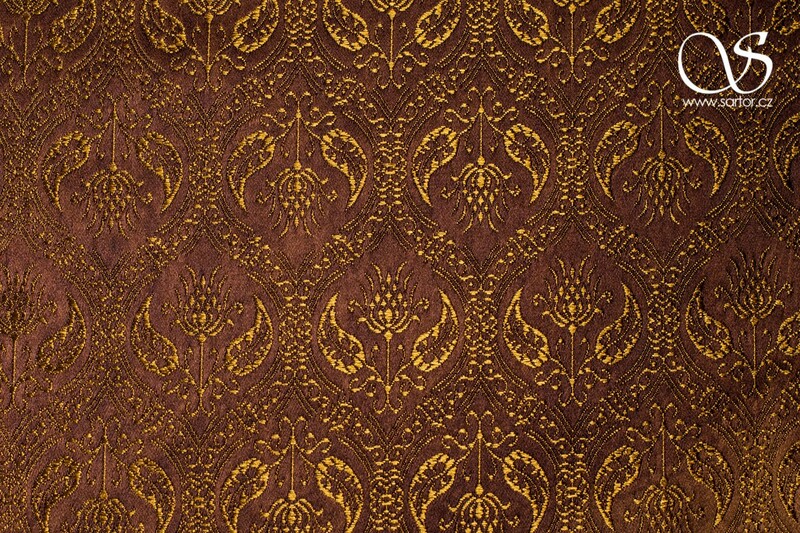 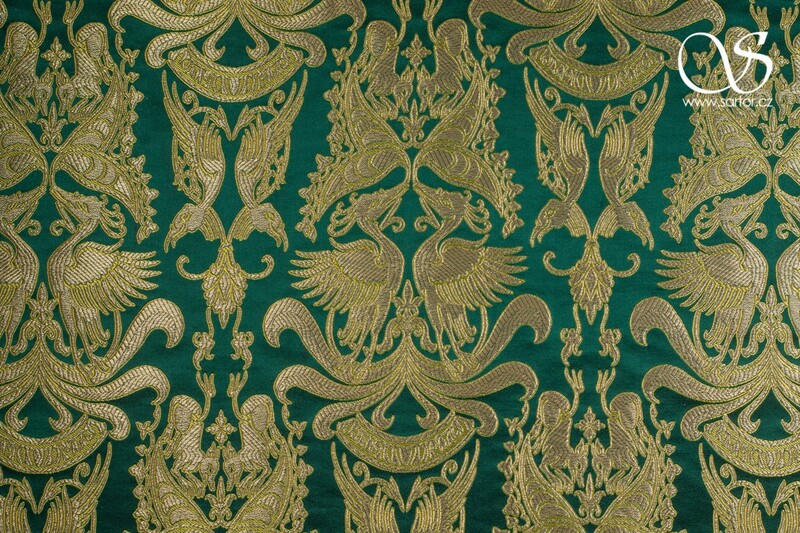 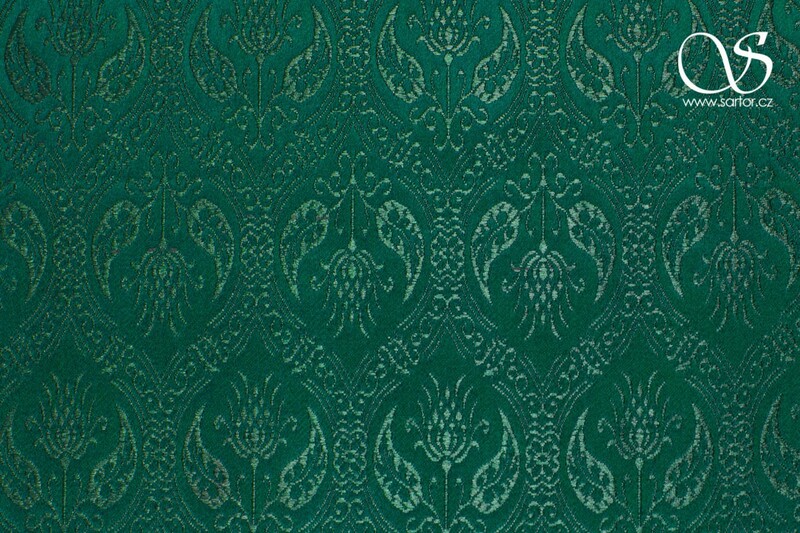 The original of this textile can be found in the Victoria and Albert Museum in London and the Metropolitan Museum of Art in New York. 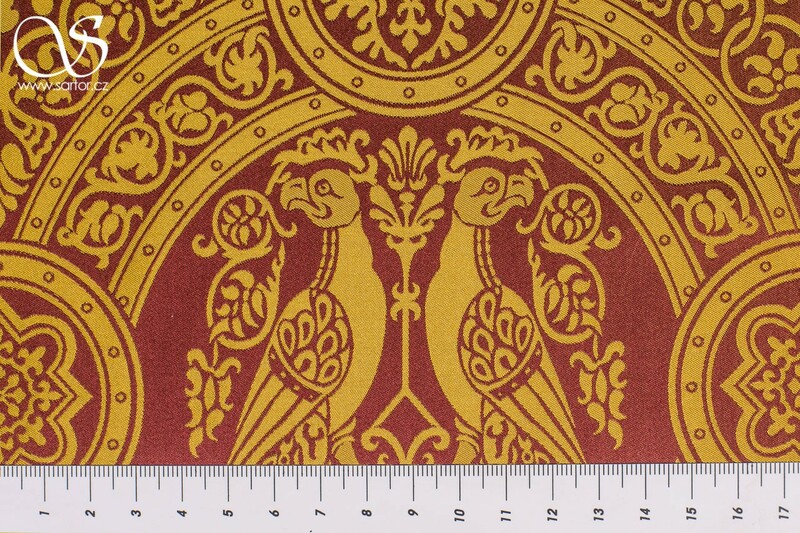 : 18 cm | 7"